Pedestrian Accident Lawyers Serving Los Angeles, Riverside and San Bernardino counties for over 20 years. With an ever-increasing population of almost 40 million people in California alone, pedestrian accidents occur frequently and are extremely common. In 2011 alone, approximately 69,000 pedestrians were injured—a figure which prompted the U.S. Transportation Secretary to declare pedestrian safety as a top priority for the department. Not surprisingly, pedestrian accidents often result in catastrophic injuries that will inevitably require exponentially higher medical expenses and much longer-lasting consequences than the average automobile accident. If you have suffered injuries or the wrongful death of a loved one, make sure you work with an experienced, dedicated team of pedestrian accident lawyers. They can protect your interests and help you obtain the compensation you deserve. We represent clients in injury and wrongful death claims arising from pedestrian accidents. In most cases, these claims involve extremely aggressive defense. It is therefore especially important to have an aggressive and experienced attorney for your accident, due to the complexity and variability of the governing state laws. For example, California is not a “no-fault” state, which means that recovery for personal injuries and property damage under a liability insurance policy depends on who was at fault. Moreover, insurance companies are aware of the higher risk of a catastrophic injuries resulting from pedestrian accidents, and because of this, will relentlessly fight to avoid having to pay the accompanying expenses of such injuries. Our practice of over two decades has afforded us the capabilities and knowledge to repeatedly stop insurance companies from trying to skirt their legal responsibilities, getting you the maximum compensation that you are entitled to. After a hit-and-run accident or other pedestrian accident, do not accept the first offer from the insurance company. Its representative will offer you a settlement that seems generous at the time. However, by accepting this offer, you are waiving your right to bring a lawsuit. In almost every case, these offers are inadequate. Furthermore, they will not cover the complete long-term costs of medical expenses and other damages that result from an accident. We work tirelessly to ensure that you get the compensation that you deserve as a result of your accident. Our expertise and knowledge of the ins and outs of the operation of insurance companies allow us to navigate our way to reach the best possible outcome for your pedestrian accident claim. If you were injured in a pedestrian accident and believe the driver that caused the accident falls into any of the above categories, do not wait. All of these circumstances can cause extensive and serious injuries to a pedestrian. Contact the Law Offices of Eslamboly Hakim to provide you support and the best representation you can get. 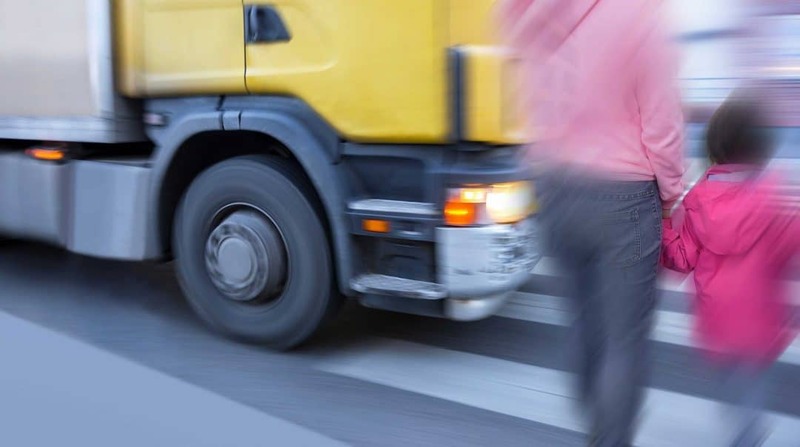 What Type of Compensation Are Available in Pedestrian Accidents? An accident that causes injury to a pedestrian can result in numerous forms of compensation available for you and your loved ones. A pedestrian accident, typically, entitles you to economic damages. Economic damages would include past, present, and future medical expenses, lost wages and consequently lost earning capacity. Are you a homemaker, and worried about what to do as a result of your injuries from your accident? If you are a homemaker in a pedestrian accident that suffers severe injuries as a result, you may also be entitled to compensation for the cost of loss of your ability to do domestic activities around your home. Are you permanently injured as a result of your pedestrian accident? If you suffer severe injuries that cause you a loss of capability to perform the job you had before the accident or any future employment is no longer possible as a result of your injuries, you may be entitled to the loss of the ability to earn a living for yourself. Being the victim in a pedestrian accident can be a scary and traumatic experience. That is why you need to speak with our skilled and trained attorneys. We have successfully guided clients through the trauma of being in such an accident and secured them with the compensation they deserved. A personal injury lawyer can help if you or a loved one was injured in a pedestrian accident. Do not wait. The sooner you contact us, the more we can do to help you. Schedule a free initial consultation with a lawyer experienced in pedestrian accidents. Contact the Law Offices of Eslamboly Hakim in Los Angeles County. Call 800-LAW-TALK (800-529-8255) or contact us online.